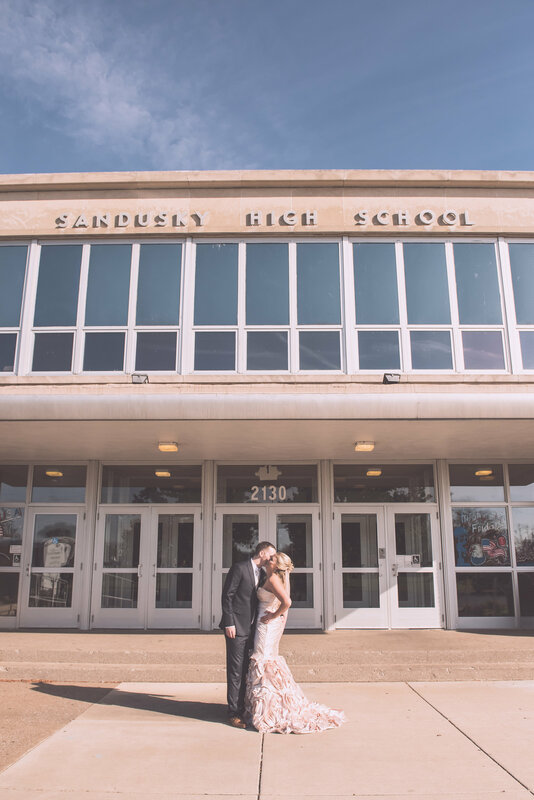 Only in fairytales do you expect high school sweethearts to fall in love and stay in love. 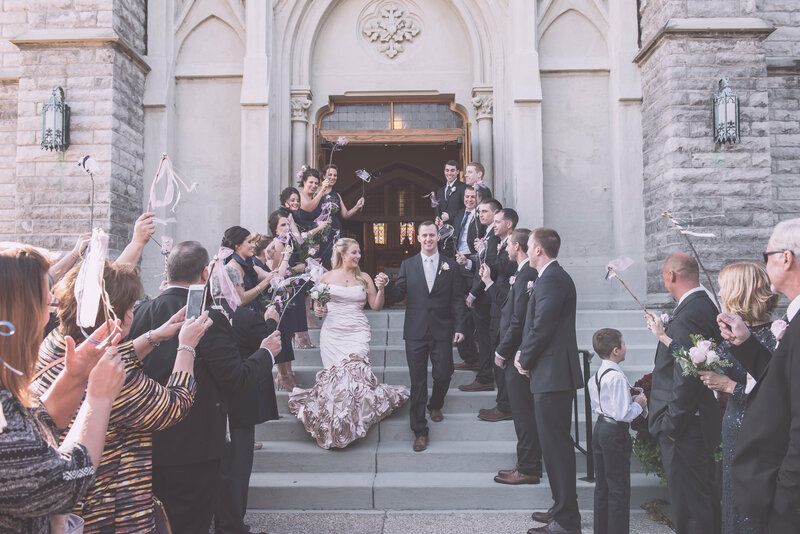 However, not for our Amare Bride Mackenzie and her newly beloved as they exchanged vows at St. Mary’s Catholic Church. 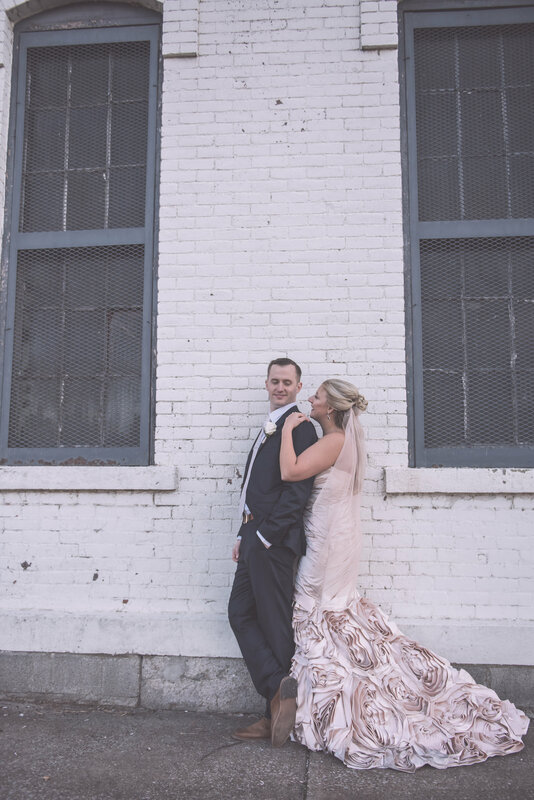 After ten cherishing years together, Mackenzie and Kevin were able to graduate out of dating and being engaged, to officially tying the knot! 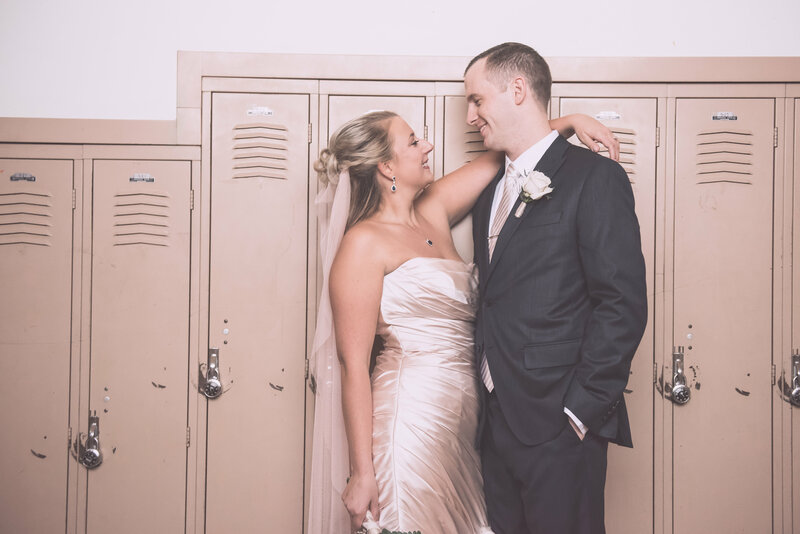 Dating as a teenager in high school can be quite an emotional roller coaster. 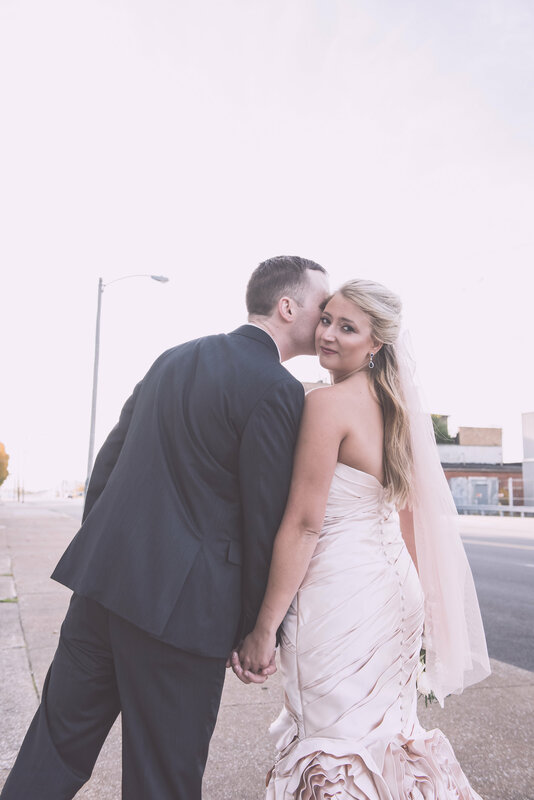 Similarly, so can shopping for a wedding dress. 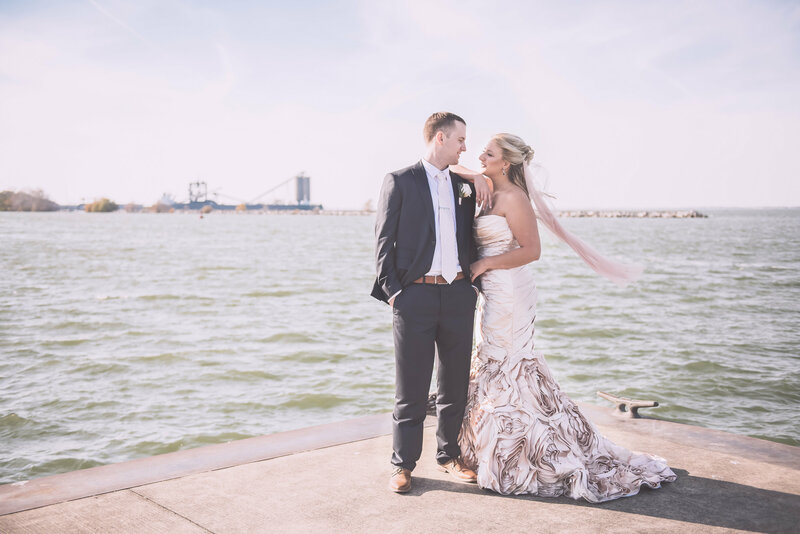 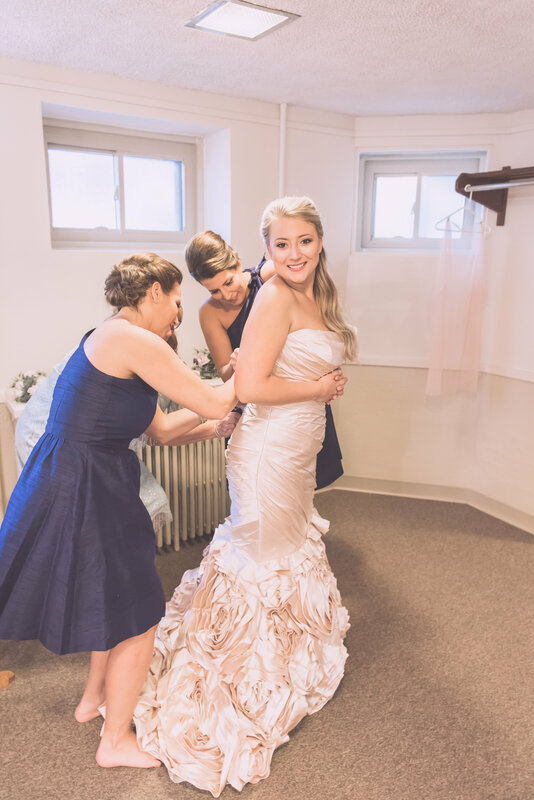 However, defying all odds (again), Mackenzie quickly fell in love with the romantic blush wedding dress Style B074 from our Theodora Collection. 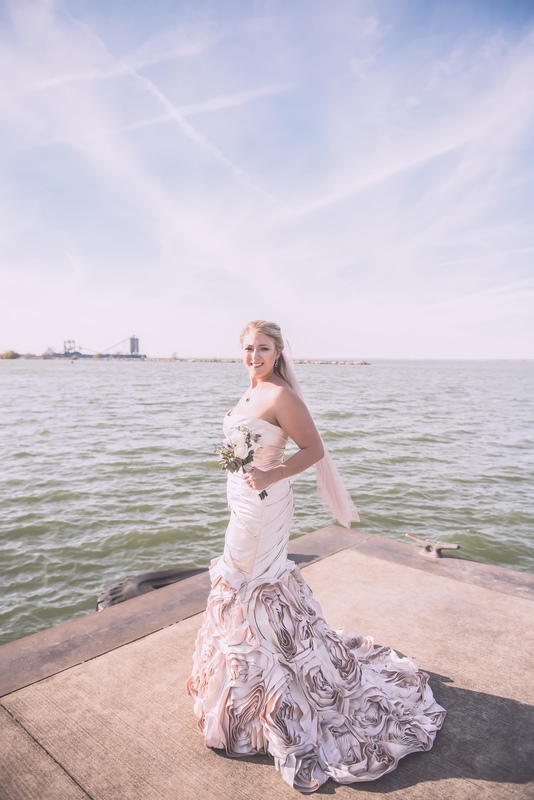 Fitted with an elongated bodice of ruched satin, the blush mermaid wedding dress is accented by a flared skirt of Luxe Italian Duchess Silk ribbons that create elegant rosettes. 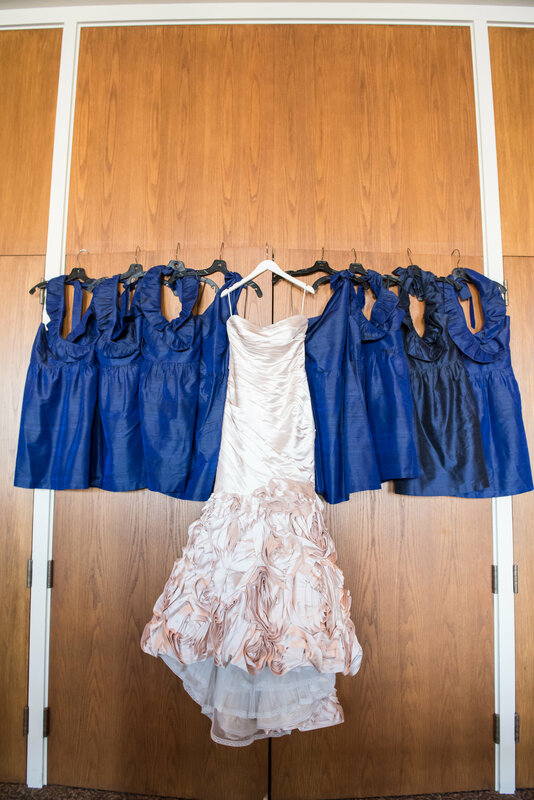 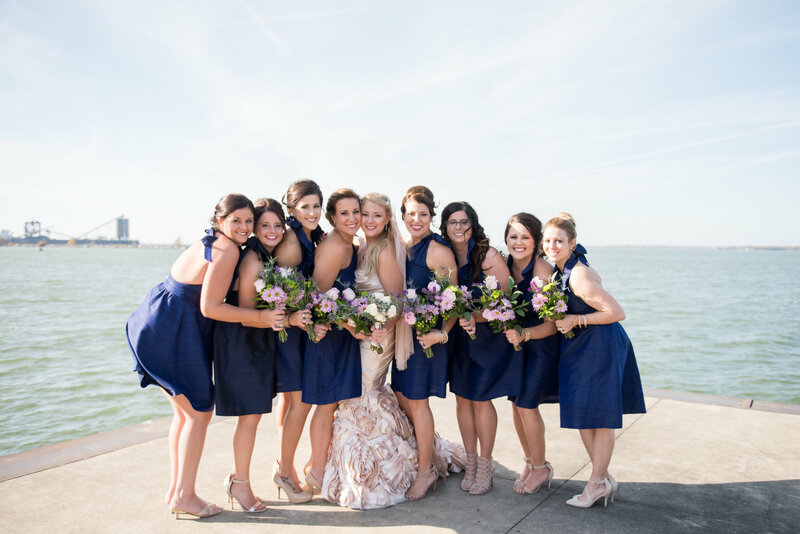 The wedding details included stunning royal blue knee-length bridesmaid dresses, complimented by light lavender bouquets. 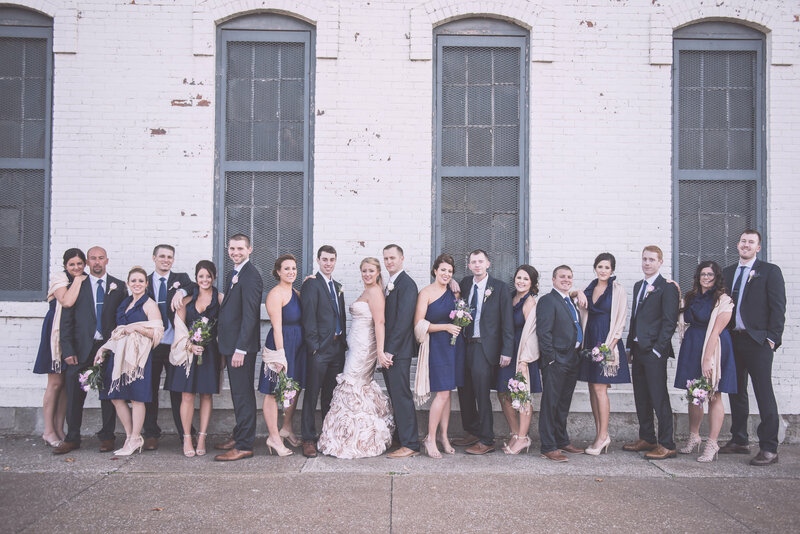 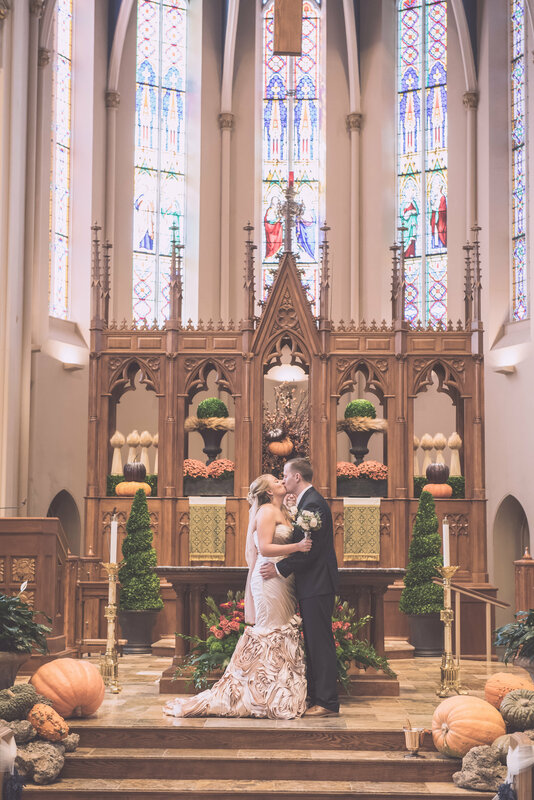 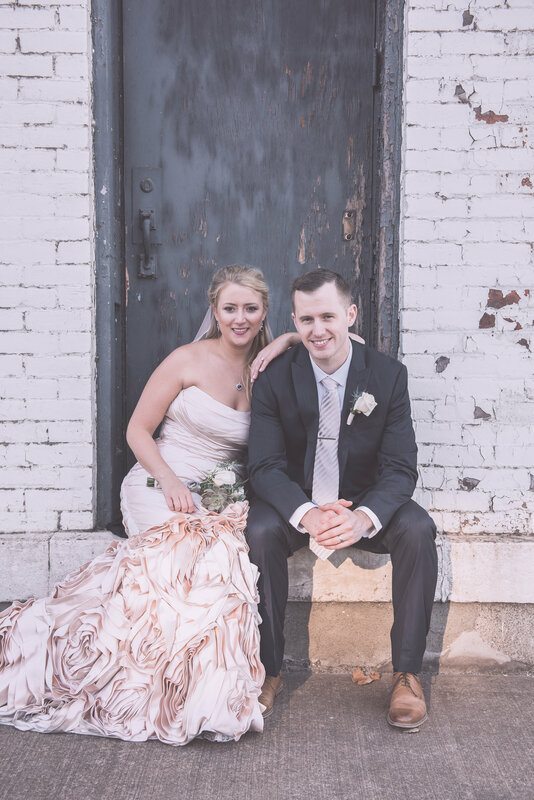 The breathtaking architecture of St. Mary’s Catholic Church boast extraordinary stained-glass windows—the perfect backdrop for a couple match made in heaven.